Our Native American Living History program allows children the special opportunity to “walk in another’s moccasins” and experience what it was like to be a Native American. Since total immersion in authentic activities is the most effective way to truly develop cultural empathy. Some activities include leaf prints, challenges, sign language, cooking, beadwork, story telling, face painting, animal skins. Many of these skills and crafts enable the campers to develop a better understanding of their relationship with the natural environment. Each illustrates the importance of our living in harmony with the earth. They demonstrate to us the importance of our natural resources as well as our own talents and skill levels. The study of pioneer crafts and lifestyles can be a very enriching educational experience. 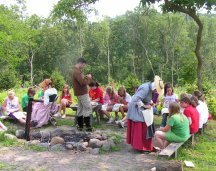 Campers visit our log cabin and may be involved in several different activities like – candle dipping, wool carding, story telling, cooking and herbs, butter making, lantern making, or games and a spelling bee. 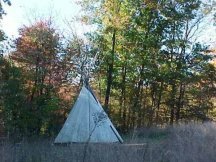 Learning how pioneers adapted and survived is a great learning opportunity for our kids today. 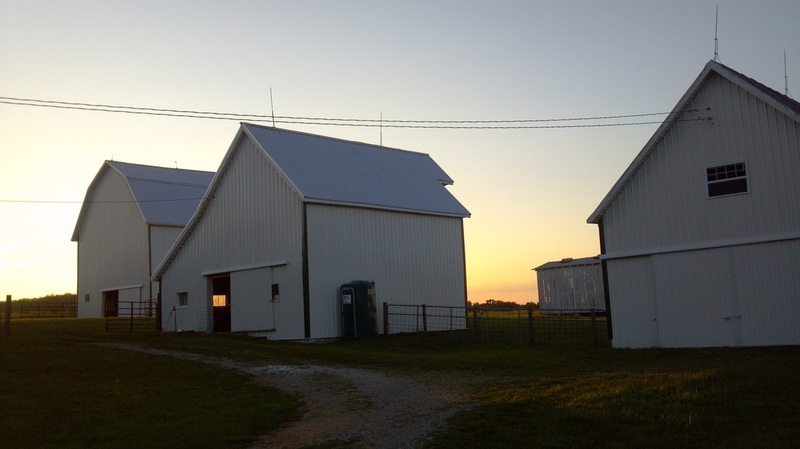 Our 4-H Camp Ohio farm consists of eighty acres and is mainly used for tree farming. Some land provides pasture for sheep and steers. The farm is also home to chickens, pigs, rabbits and cats. Your visit may include such things as feeding, food types, care, animal habits and discussion on the place each animal occupies in the ecosystem of the farm. 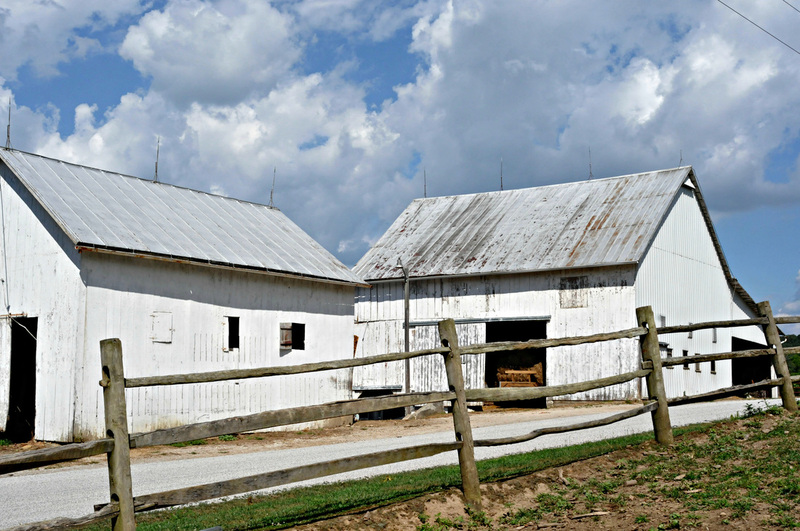 The farm program includes several pieces of antique farm equipment including a horse-drawn plow, hand crank fanning mill, potato sorter and a corn sheller. These give hands-on experience as well as stimulate discussion about how farming has changed. 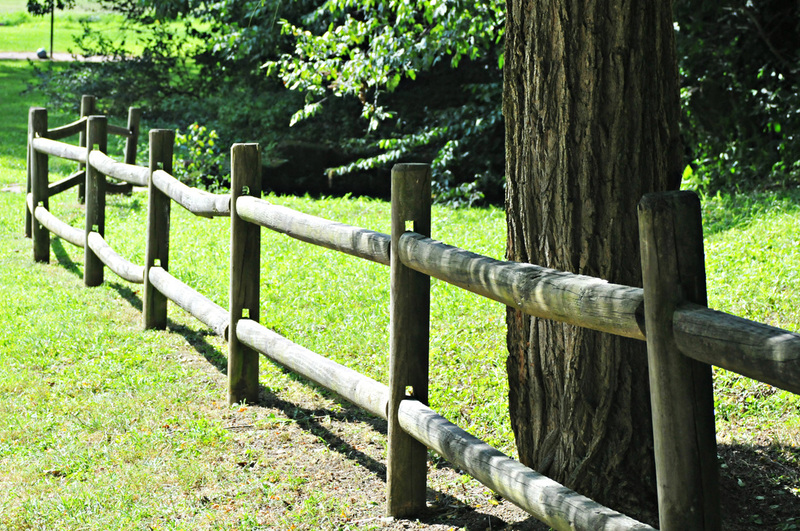 Tour an Amish farm that is within walking distance of camp. Go back in time and experience first-hand what farming was like before electricity when horse-drawn plows and wagons were used. A camp naturalist must accompany each group. Campers experience the way slaves traveled to freedom through a simulated Underground Railroad trail around camp. This class may be offered as an evening program. We need 45 minutes before the program to train your counselors/volunteers/adults as the stationmasters and bounty hunters. A camp Program Instructor meets with all the campers and discusses the history of the Underground Railroad; divides them into family groups; explains the way our camp URR works and then sends the groups out along the trail to meet with stationmasters and maybe bounty hunters along the way. The campers end up back with the Program Instructor to do a wrap up of the activity, make sure all are safe and accounted for. This is a tremendous activity well liked by all who have experienced it.